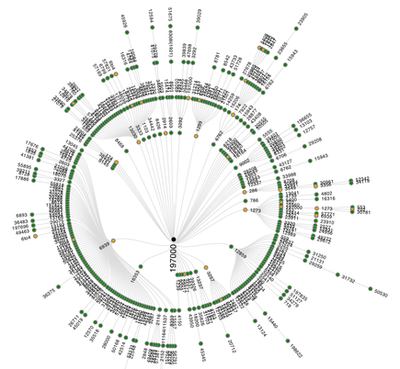 As a RIPE NCC member, you can test the reachability of your IPv6 website from more than 800 RIPE Atlas probes, and receive a graphical analysis of the paths between your site and the world. It's easy! Just log in to RIPE Atlas with your RIPE NCC Access account, type in a target (host name or IPv6 address), and your measurements will be ready to download within an hour or two. You'll get a graph of the finalized traceroutes, a separate graph of the unsuccessful traceroutes, and the raw data. Test your IPv6 connectivity now or read more on RIPE Labs. If you want to perform customised measurements but you don't host a probe, or the credits you earn from hosting only one probe are not enough, we offer the opportunity to explore the potential of customised measurements for yourself. Each LIR can request one million credits that can be used for customised measurements once per month. If you spend them all and still want more, please consider hosting a probe or becoming a RIPE Atlas sponsor. Claim your million credits now! RIPE Atlas quick look measurements allow RIPE NCC members to get a virtually instantaneous snapshot of how the RIPE Atlas network sees a target of their choice - whether an IPv4 or IPv6 address or hostname - anywhere in the world. This is a special feature available to RIPE NCC members, regardless of whether they host a RIPE Atlas probe. Just enter the destination of your choice, and the system will randomly select up to 100 probes from across the RIPE Atlas network to ping the chosen target. Results are displayed in real time as they come in. Perform a quick look measurement now! Hosting a probe offers you lots of benefits, including direct access to all the measurements your probe performs as well as earning credits to spend on your own customised measurements that provide valuable data about how the rest of the Internet sees your network(s). However, you also contribute to the growing RIPE Atlas infrastructure and enable others to perform measurements focusing on your part of the world. Hosting a probe is free of charge. You will be supporting RIPE Atlas by donating small amounts of electricity and bandwidth for running the probe and the measurements (and you have control over the amount of bandwidth your probe uses). If you apply for a RIPE Atlas probe through the LIR Portal, your contact information will be automatically filled in and we will send your probe to the address specified in your LIR contact information, unless you tell us otherwise. We encourage LIRs to find out more about how RIPE Atlas can provide real operational benefits and to take advantage of the improved access to RIPE Atlas via the LIR Portal (look for the RIPE Atlas link under the "Tools" section on the left side of the portal page).